The natural aging process and your genetics can cause your skin to look rough and dull, flawed with acne scars, freckles, and signs of sun damage. 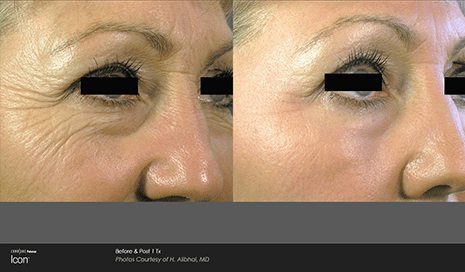 To reverse these common skin flaws, innovative skin rejuvenation and resurfacing techniques can provide you with dramatic results with the risks of surgery. At Health and Rejuvenation Center in Miami, Dr. Aleida Hera offers advanced skin rejuvenation and resurfacing services to help you look and feel younger without downtime or incisions. To learn more, schedule an appointment online or by phone with Dr. Hera. 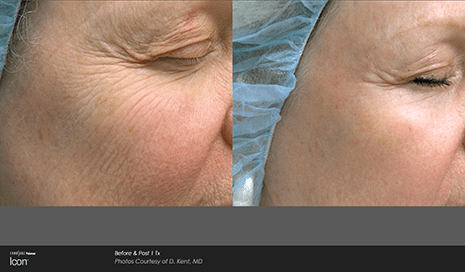 Skin resurfacing is a technique that improves the overall appearance of your skin, treating wrinkles, fine lines, age spots, and hyperpigmentation disorders. Dr. Hera can determine which treatment is right for you based on the condition of your skin and your desired outcome for treatment. Chemical peels use an acid agent to remove outer layers of your skin. This treatment breaks up pigment responsible for skin discolorations, like sun and age spots, and encourages the growth of new collagen and elastin. As new collagen forms in your skin as part of your body’s natural healing process, your skin looks younger, smoother, and tighter. How do lasers treatments work? Dr. Hera may recommend ICON laser treatments if you have discolored areas of your skin, such as sun spots, age spots, and freckles. The laser breaks up the melanin in your skin that causes the darkened areas without damaging surrounding tissue. Laser treatments also stimulate the growth of collagen that gives your skin a fresher, brighter look without surgery or other invasive treatments. It can take several days for your skin to heal after chemical peel treatments. You may experience skin redness, itchiness, swelling and flaking that can take several days to resolve before you can see results. Laser treatments can offer immediate results after your first treatment, with a considerable reduction in the visibility of hyperpigmented areas. Dr. Hera can let you know what to expect before your procedure and how long you can expect your results to last. Am I a good candidate for skin resurfacing and rejuvenation treatments? Dr. Hera can determine if you’re a good candidate for one or more available skin resurfacing treatments after reviewing your medical history and discussing your cosmetic goals. It’s also important that you can ensure proper care of your skin after resurfacing procedures to maintain results and prevent exposure to the sun’s damaging ultraviolet (UV) rays. Wearing a high-quality sunscreen at all times is essential to keeping your skin healthy and preventing the return of sunspots and other signs of skin damage. To find out if skin rejuvenation or resurfacing is right for you, schedule an appointment online or by phone.